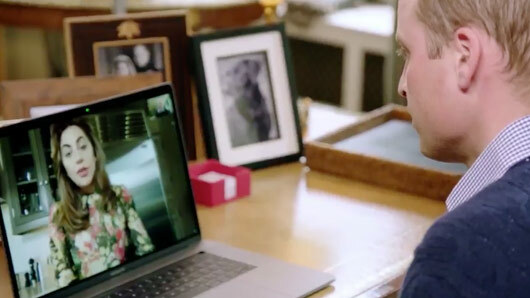 Lady Gaga and Prince William had a conversation about mental health over FaceTime to raise awareness for the Heads Together campaign. The singer posted the video chat on her Twitter page, in which the two public figures discuss her experience with mental illness in order to bring an end to the stigma about suffering in silence. Prince William said: “I read your open letter the other day and I thought it was incredibly moving and very brave of you to write down such personal feelings. Gaga, who recently revealed that she suffers with Post Traumatic Stress Disorder in an open letter on her blog, replied: “For me waking up every day and feeling sad and going on stage is something that is very hard to describe. “There’s a lot of shame attached to mental illness. You feel like something’s wrong with you. “And in my life you go look at all these beautiful and wonderful things that I have and I should be so happy. But you can’t help it if that in the morning you wake up, you are so tired, you are so sad, you are so full of anxiety and the shakes that you can barely think. “It was like saying: ‘This is a part of me and that’s ok’. After an ongoing five-year battle with PTSD, the singer opened up about her struggle online. She wrote: “It is a daily effort for me, even during this album cycle, to regulate my nervous system so that I don’t panic over circumstances that to many would seem like normal life situations. “I also struggle with triggers from the memories I carry from my feelings of past years on tour when my needs and requests for balance were being ignored. “I was overworked and not taken seriously when I shared my pain and concern that something was wrong. I ultimately ended up injured on the Born This Way Ball. Prince William concluded the video chat, saying: “It’s time that everyone speaks up and really feels normal about mental health.